First, find the lowest point of the CNC wood router table, and then put the knife under 0.5 - 1mm depth, start the spindle, manual operation to run back and forth, repeated control to the appropriate location. Need to pay attention to is based on the different surface materials, choose different feed rate. Manual debugging steps are relatively simple, but the process of debugging and time will be relatively long, and the accuracy of the general debugging. CNC wood router table debugging correction of two operation methods are relatively simple, but if you want to pursue the processing precision, usually using the computer debugging operation, only to the surface of cnc wood router debugging good, in order to improve the work efficiency and the processing quality. 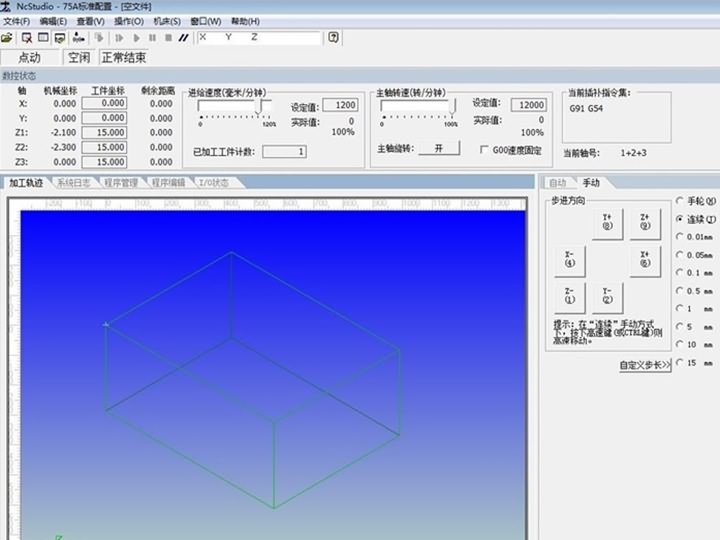 License: The text of "How to calibrate the accuracy of CNC wood router?" by STYLECNC is licensed under a Creative Commons Attribution 4.0 International License. • Next: How to improve CNC wood router work efficiency?